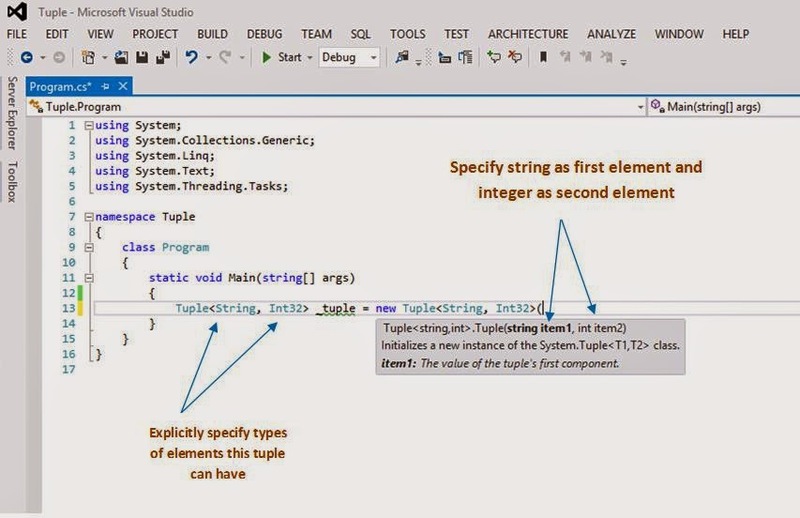 Any function we use in C# can return maximum of single value which can be string, int or any other type, as per our requirements. If more than one value is to be returned, we use different types of approaches, like using any Dictionary with key-value pair, or any new container class, with properties of this class being the data/parameters we would like to be returned from that function or use the out or ref based parameters. All these are good if they are fulfilling our requirements. But C# provides a Tuple class, which can be used as more efficient way of returning multiple values from a function. 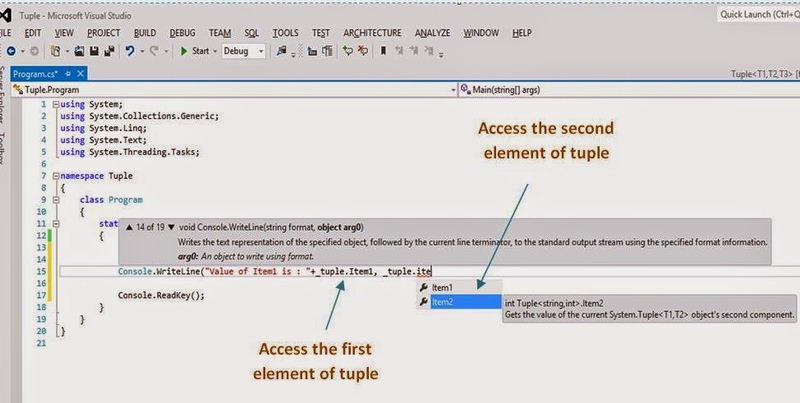 Tuples were introduced in C# 4.0. 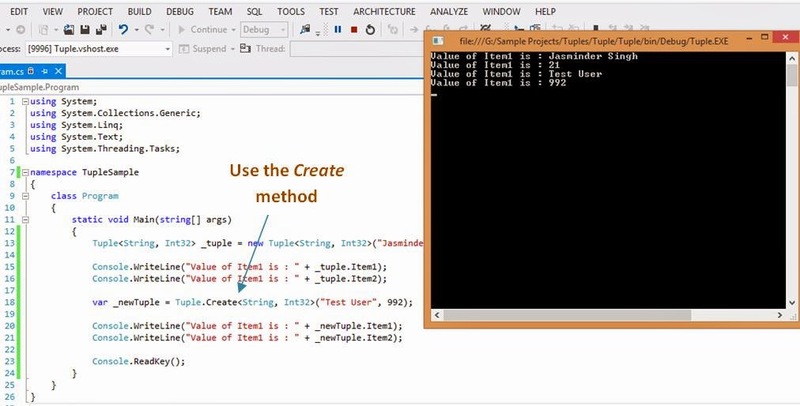 In simple terms, you can define a tuple as a single record of different types of data. 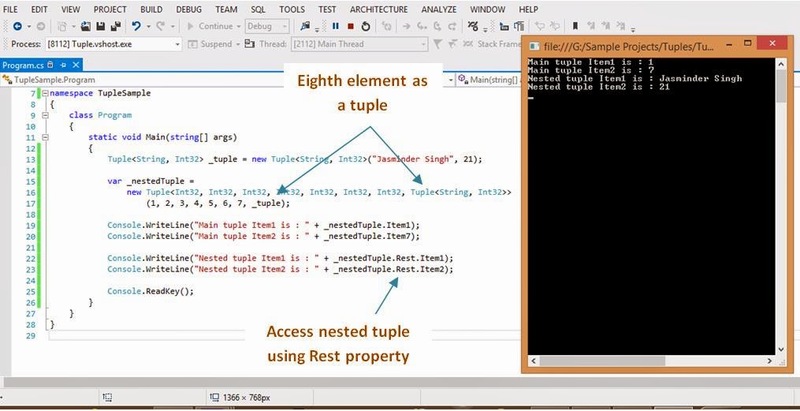 For example, a single record with UserId, FirstName, LastName, Salary etc can be called as a tuple. It's not necessary that all these attributes are of the same user. UserId can be of one user, FirstName could be of another user, Salary could be of third user and so on. So this was about the concept of tuples. Hope it helps you. Happy coding...!! !